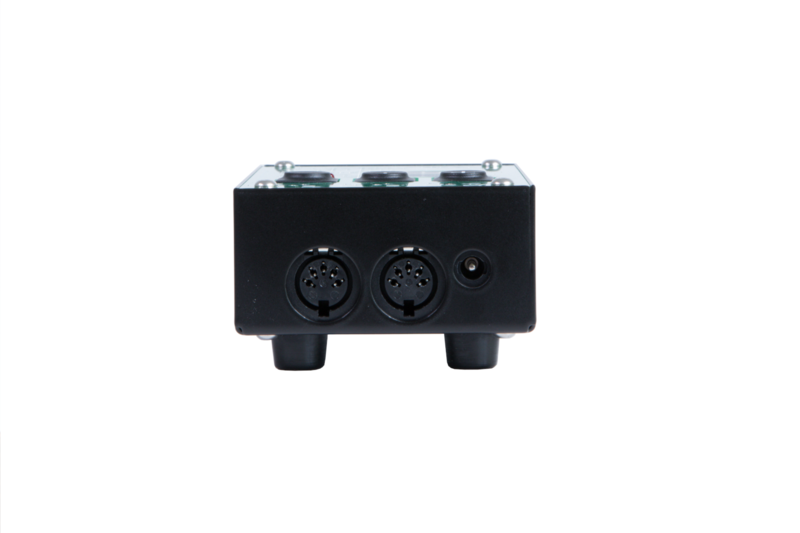 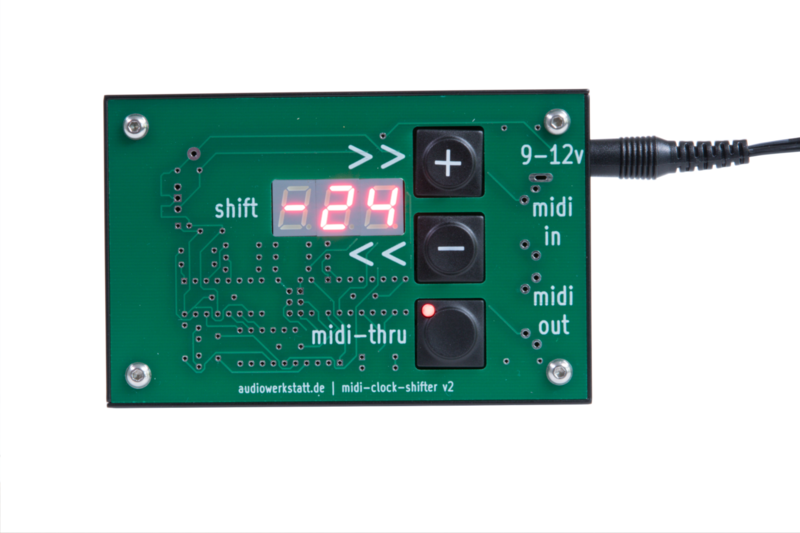 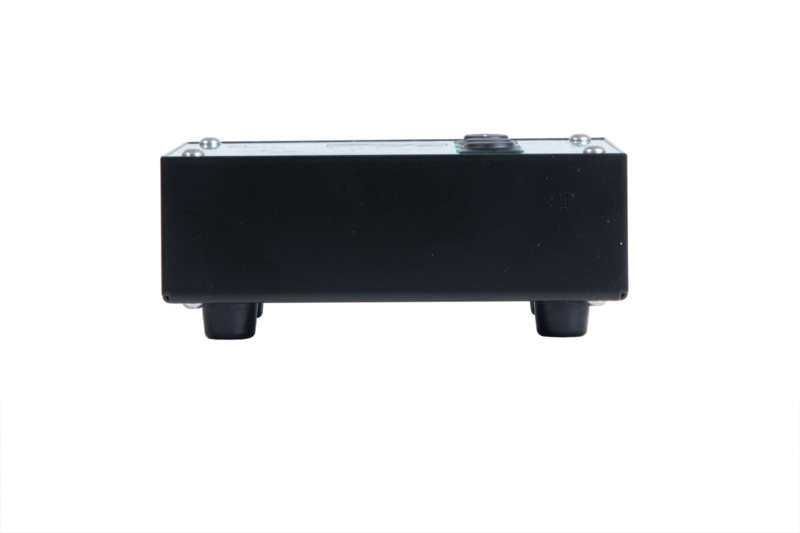 The audiowerkstatt midi-clock-shifter v2 helps to move your MIDI-Slave forward or backward. 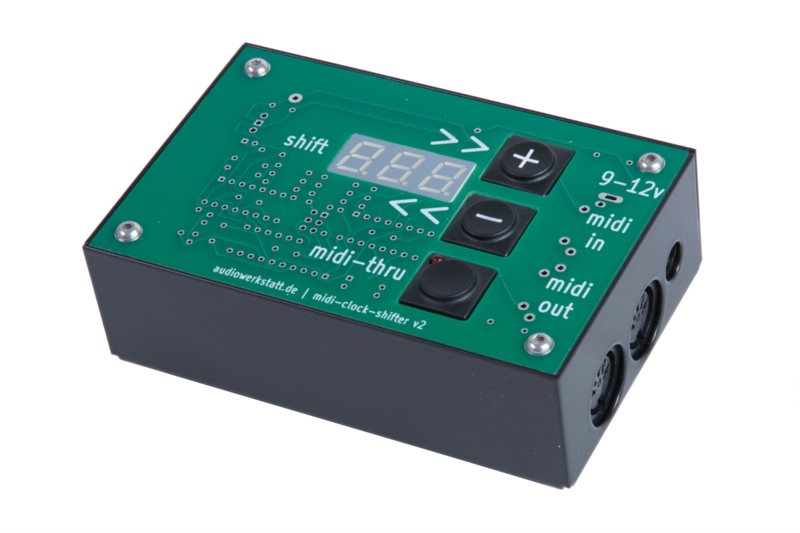 The audiowerkstatt midi-clock-shifter v2 helps you to move your MIDI-slave as many MIDI-clock-ticks as you want forward or backward, while running in synchronisation to the MIDI-master. 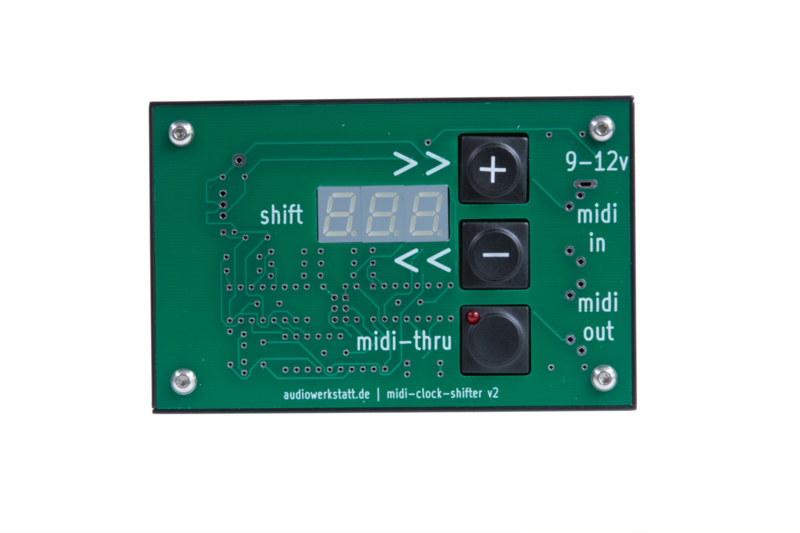 A 7-segment-display shows the direction and number of MIDI-clock-ticks, the MIDI-slave has been moved.